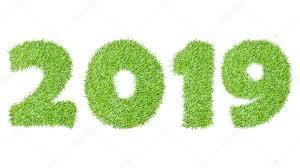 Do you want to make Muswell Hill more sustainable in 2019? Find out how you can get involved at our meeting on 24th January 8.00pm at Muswell Hill Methodist Church. Hear about our homes projects, our food group and our plastics campaign. We’ll also hear from Kate Allardyce about Extinction Rebellion and the action that they are planning this year to get the government to act urgently on climate change. ALL ARE WELCOME! Reducing carbon emissions and waste in Muswell Hill and surrounding areas. See our events page for more.